Details: THese turned out better on the striped version, they seem a little big, but I added a row of yo, k2tog wo thread a tie through. 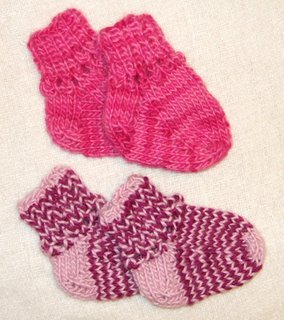 They are for my mom's friend's son's twins - apparently they are in Montana and are very cold. I hope these warm them up!